At ASR, we use quality parts to ensure you are getting the best quality repair. We service and repair all makes and models including European, Asian, and​ Domestic vehicles. If a part was repaired at our shop and it doesn't hold up, we have got you covered by our Technet Nationwide warranty. For 36 months or 36,000 miles, your repairs will be 100% covered. Whether you are in Fort Collins, CO or traveling to North Carolina, there are over 9,000 participating shops nationwide to make sure you are covered wherever you happen to be! 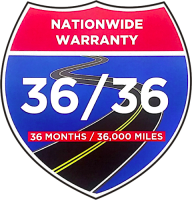 "Worry-free travel starts here" with ASR and our included 36 month/36,000 mile nationwide warranty! ​Switch out the fluid and transmission filter. Routinely changing the transmission fluid will extend the life of your transmission and protect against transmission problems. Check for signs of wear, damage, or rust.